Tor is a privacy-focused browser that has finally launched its own official application for mobiles for the first time. It also offers clients a free trial version that they can take for a test-run on their android devices. In Tor’s alpha release, according to Tor, the onion network offers a browser like no other when it comes to privacy which is good news for users who rely on using their mobile phones over desktop devices most of the time. According to a report from November 2017 from comScore and Statista, it can be seen that 70 percent of India’s internet users access the internet primarily through their mobile phones. The stats from Indonesia are 67 percent and it is similar for regions like Africa and Asia where the citizens have to face hostile governments constantly. Individuals like these rely on their mobile phones for internet usage but are always under heavy surveillance from government agencies. In the face of all this, Tor provides privacy to those who need it the most. Tor does this by isolating every website that is visited so that any harmful third-party trackers don’t follow the users. Tor also automatically clears all cookies once the user is done browsing. Tor claims that with its browser for android, users can virtually roam online undetected from any agency, and their device information remains confidential as well. This app can easily be downloaded from Google Play or from Tor’s download page. Presently, it is required that users also download the Orbot proxy application which is a gateway app to connect to the Tor network. However, it is expected in the near future that this requirement will soon be eliminated. Orfox is a third-party mobile browser created by the Guardian Project. It reroutes Android traffic through the Tor network and is still awaiting a stable version’s release. In the future, it is expected that users using Orfox will also be able to reroute traffic from other android apps through the Tor network, creating more flexibility online for themselves. In the meantime, there has been no official Apple iOS apps released by Tor, but the Guardian Project heavily recommends the use of Onion Browser which was developed by Mike Tigas. 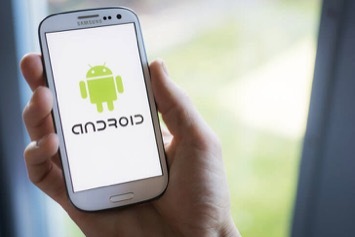 It is predicted that a stable android Tor app will be released in early 2019. But for now, the project is seeking reviews and feedback from users regarding system bugs and flaws that they can fix. Since this is the first version for android released by Tor, it understands that not every aspect of it will be perfect. It is seeking suggestions so that necessary fixes can be put underway to provide users with the kind of experience they deserve browsing online. All Tor Android Browser related issues with the TBB-mobile keyword are currently being followed by Tor’s bug tracker which allows the company to keep in check with all the bug reports, which so far, it is happy with. Whenever it is the matter privacy apps for android, it is heavily recommended that for added security, your VPN android app go hand in hand with a Tor network. If you are a user who prioritizes privacy above all else, you need to invest in not only a Tor network but also a reliable VPN so you are virtually untraceable online. Guest article written by: I’m Phil, graduated in computer sciences, completed in 2015. Besides a software developer by profession, I’m passionate about writing on various topics especially privacy and security. Like other Britains, I am a diehard fan of Liverpool. Great news! Millions of mobile around the world are worried about their privacy when they go online. This onion browser eliminates this problem. Being able to surf the internet with free mind is a great gift to all mobile phone users.